We have been involved with sourcing and supplying solar PV equipment and components since 2007 and have working relationships and supply agreements with some of Europe's best equipment manufacturers. All of the components we supply are traceble to source, ensuring that the highest quality and environmental standards are maintained right through the supply chain. Equipment is selected and supplied based on real installation experience, consistent build quality, proven performance and strong warranties. Systems and components can be supplied seperately or combined, technically validated and shipped as custom installation kits. Whichever your choice of mounting system, technical or aesthetic requirements or site location, we are confident that given accurate measurements and location information we will be able to supply a structurally and mechanically sound, verified and guaranteed mounting system for pretty much any location. Mounting systems available for quick delivery for on-roof, in-roof, flat-roof, free standing and building integrated installations. Also talk to us about custom builds including difficult or unusual projects. 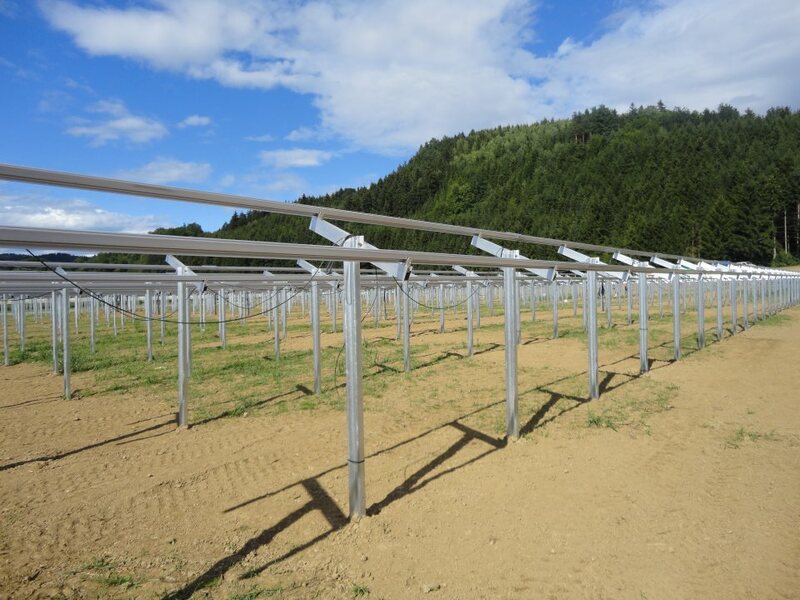 A choice of quality and proven solar PV panels, all supplied with industry leading 25 year linear power warranties, MCS Certification, and unique, trackable serial numbers. Monocrystalline, polycrystalline and thin film. Framed panels & laminates. Solar PV panels available to suit all budgets, specifications and installations. Central and Micro-Inverter technology from SMA, Fronius, Power One, Kaco, Enecsys and Solaredge. As standard, inverters are supplied with basic system monitoring, UK G.83 / G.59 grid settings and DC string isolators. Inverters available for indoor and outdoor installations. Inverter warranties available from 5-25 years. Specialist Equipment: We work closely with proven and long established manufacturers. In addition to reliable supplies and warranties this also gives us early access to new products and specialist engineering for bespoke systems and builds. Exceptional Support: Our on-site and hands on experience with these products puts our clients at a real advantage in terms of system design and technical support. Competitive Pricing: We move equipment efficiently and we keep our prices competitive. Repeat and large order discounts are automatically applied to every applicable quote. Warehousing & Logistics: We can hold and secure bonded stock and can arrange deliveries anywhere in Europe. Market Knowledge: Looking for something different or unusual? The chances are good that we will understand what you would like to do and will be able to provide a cost effective solution, delivered right to the door.